Lemmy is an affectionate two-year-old Lurcher who lives with the Dunn family. His family believes that Lemmy was hit by a motor vehicle after they found him unable to weight bear on his left thoracic limb. 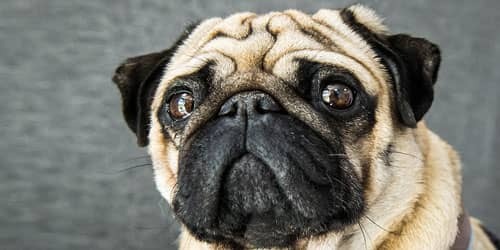 His family vet referred Lemmy to Fitzpatrick Referrals Orthopaedics and Neurology in August 2017 after their radiographs of Lemmy’s limb confirmed a complex fracture. Lemmy was admitted by Dr James Guthrie, Senior Surgeon in Orthopaedics. On clinical examination, a fracture through the distal left antebrachium was palpable. 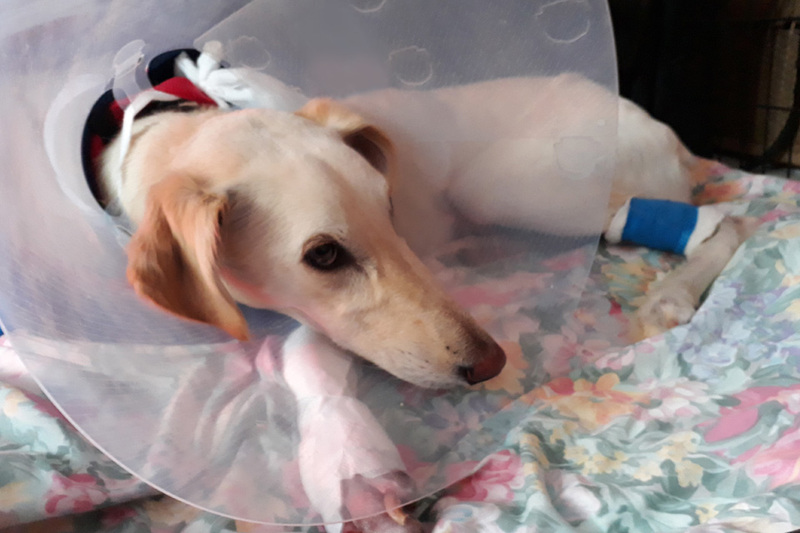 A few small puncture wounds were present through the skin overlying the fracture, and multiple superficial skin wounds were present on all four paws. 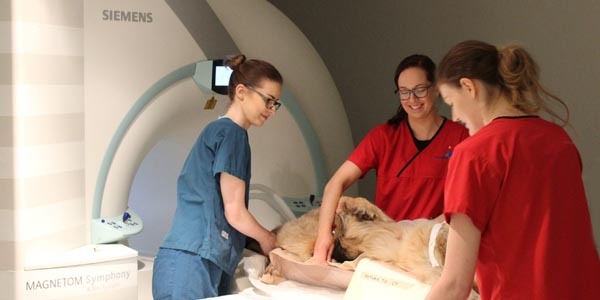 Lemmy was anaesthetised and transferred to the imaging team for x-rays. 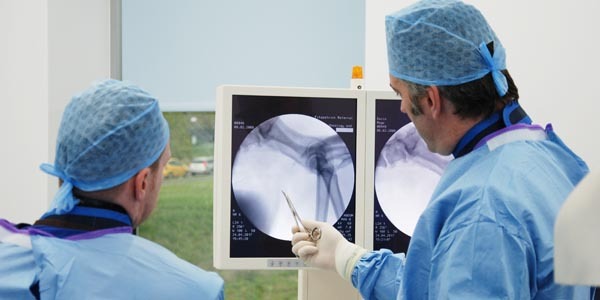 Fortunately, thoracic and abdominal radiographs did not reveal any internal injuries. Radiographs of the injured limb confirmed a complete, displaced, transverse fracture to the left distal radius and ulna. X-rays confirmed a complete, displaced, transverse fracture to Lemmy’s left distal radius and ulna. 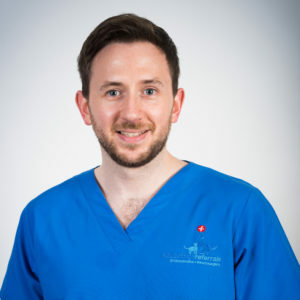 James recommended open reduction and internal fixation of the fracture and Lemmy was prepared for surgery the same day. A craniomedial approach was made to the distal radius. The fracture was reduced and stabilised with a cranially applied 2.7mm SynthesTM locking compression plate (LCP) in a locking compression mode. A separate caudolateral approach was made to the distal ulna. The ulna fracture was reduced and stabilised with a laterally applied 2.0mm SynthesTM LCP. Closure of both incisions was routine and finished with skin staples. Two skin staples were also placed in the small skin wound on the caudal aspect of the distal left antebrachium. Two days later, Lemmy showed satisfactory progress and was discharged back to the care of his family at home. Six weeks postoperatively, Lemmy was ambulating well and comfortable on palpation over the surgical sites. Orthogonal radiographs were performed under a routine sedation, which documented no disruption to the implants and radiographic evidence of osseous healing at the fracture site. Lemmy was re-presented for his final assessment in November 2017, approximately eleven weeks after the surgical repair. He was comfortable and ambulating very well, and orthogonal radiographs confirmed osseous union. Lemmy was then free to return to off-lead exercise. Lemmy has recovered remarkably well and is enjoying exercising again in the great outdoors thanks to the dedication from Lemmy’s care team. 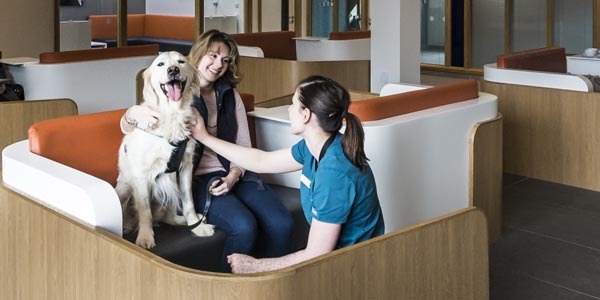 Seven months post operatively Lemmy is continuing to enjoy life to the fullest, thanks to the dedication of Lemmy’s patient care team comprising his family vet, the Dunn family and the team at Fitzpatrick Referrals. Lemmy was such a sweet boy; very brave and well behaved throughout his treatment. Witnessing how happy and emotional Ms Dunn was when she was reunited with Lemmy just showed how strong their bond is and it was a pleasure to help them.